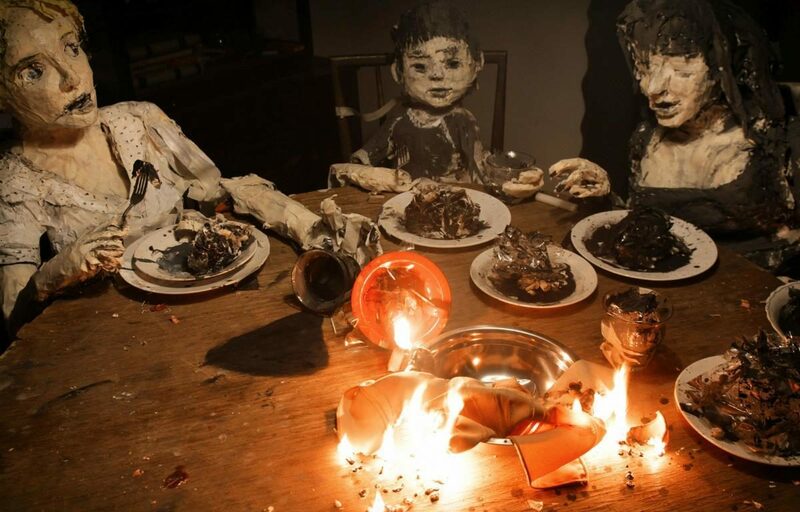 A surreal stop-motion animated film, which reflects the distress of the Chilean dictatorship. The history of Chile has been a turbulent one. The reign of the General Pinochet, the prosecutions that marked his time of dictatorship have spread fear among the Chileans. This is clearly the fundamental inspiration behind “La Case Lobo”. The main character appearing in the film is Maria, a girl, who one day decides to run away from everything and begins a new life in a house, deep in the woods. She then raises two people – Ana and her son Pedrito. “La Casa Lobo” begins with a creepy advertisement of a German family business, producers of honey. The narrator mentions a girl, who had a strange affection for animals. When her piggies escaped from the German colony (as the “business” is called a few times), she was locked in a dark room. From that point, just when Maria escapes, Cocina and Leon begin a nightmarish, incredibly surreal animated documentation of Maria’s life. The making of the visually exhilarating “La Casa Lobo”. The sheer genius of “La Case Lobo” relies on the manner it plays with its own symbolism. The fourth wall is broken almost constantly, the reality is blending with horror. In this dreamlike world, Maria is a God – she creates life. Ana and Pedro are her own creations, pigs turned into humans. By turned, I mean it literally. If the concept is disturbing on its own, the transformation is a spine-chilling, surreal trip that Alejandro Jodorowsky would love. However, even if Maria acts like a God, her doings are still narrated by the same German voice that we hear in the beginning, as if her life was a book written for the audience to read. She might act like it, but she is never free – not for a moment. The story wouldn’t resonate that hard if not the visual artistry. The film took years of making (as the directors admitted during the Berlinale 2018), however it’s completely understandable. The stop motion animation is a tasty piece on its own, but what Cocina and Leon offer outreaches most of the modern animated films. 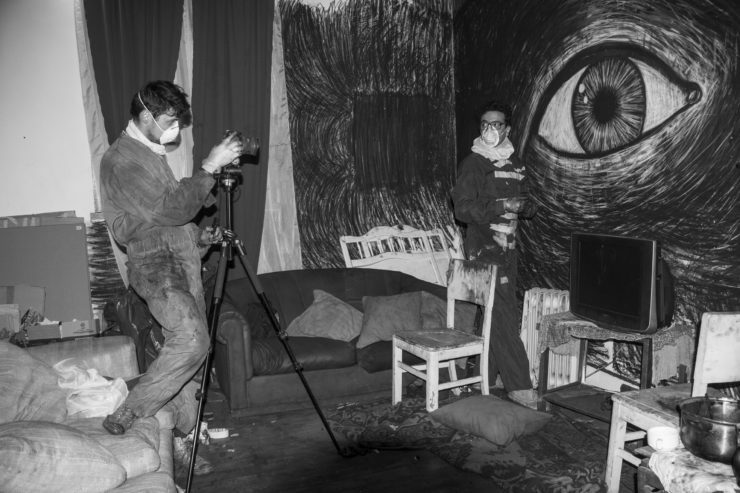 The camera is confined within Maria’s house, creating a stuffy, perturbing atmosphere inside. Maria, Ana and Pedrito appear on walls as frescos just to literally step inside and form themselves into puppets. The camera moves around the house, which transforms and changes right in front of our eyes. Such crazy concepts reappear constantly. When sitting at the table, the hands of Maria form themselves on the floor, just to climb her thighs and plug to the rest of her body. All of it is incredibly bolstered by the soundtrack and sound design. On top of that comes the fact that Maria – speaking Spanish with a harsh, rough accent – frequently mixes it with German, fluently commingling words as if creating an entire new language. Underneath this visual cream lies a disturbing, deep look at the history that echoes in the modern Chile. The nightmarish aesthetics of the film embrace the overwhelming fear that dictated lives in the communist country. The fear of being outside your own home. Added here is the fact that the German colony is a strong reference to the numerous Nazis, who fled to South America to avoid the Nurnberg process. 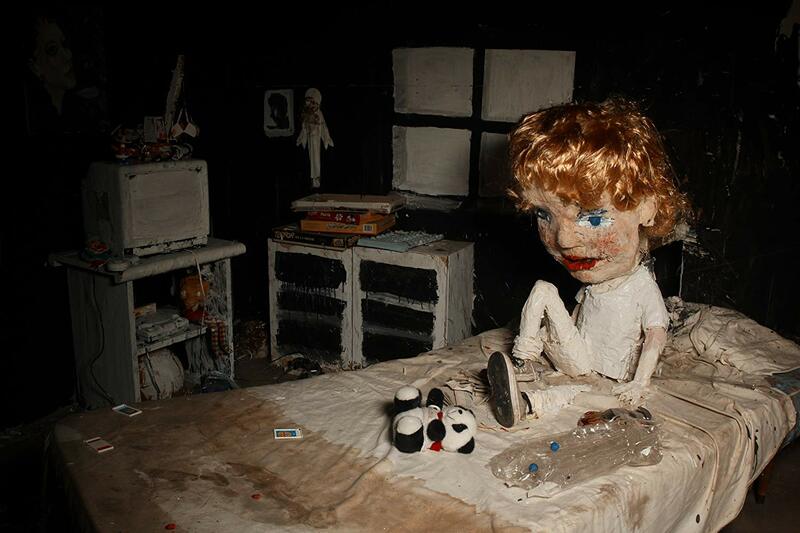 Cocina and Leon skilfully combine these two, conjuring a puppetry horror, which can surely haunt you in your sleep.